Share the post "Complicated History of Myanmar-Bangladesh Border"
The border that Bangladesh shares with Myanmar constitutes only 6.14% of the country’s total land boundary (4,413km) and yet it is one that has been the subject of major international attention on and off, and more especially in the recent past. This border consists of a short land boundary and about 193 km of water boundary marked by the River Naf. The river divides the district of Cox’s Bazaar in Bangladesh from the North Rakhine State in Myanmar. The porous nature of Bangladesh’s borders have created a kind of cartographic anxiety between the neighbouring states of both India and Myanmar which have led them to build high electrical fences possibly to stave off massive influx of population from the heavily populated Bangladesh. This has not worked. Despite the high fences in the Myanmar-Bangladesh border, flow of boats and people have been a regular feature, a semi open-border regulatory system has been in operation, where a Bangladeshi can get a 48 hour border pass from authorities in the south eastern most district town of Teknaf to visit or conduct limited trade within a 10 km periphery. Such arrangements have however often collapsed in times of tense situations when unwanted influx of refugees have crossed borders out of persecution, repression and violence in the territory they inhabited. We therefore have to take a deeper look at inhabitants of such border areas and see how the violence impacts on them, for it is this feature that has time and again drawn our attention to this otherwise quite remote and neglected part of the globe. As a result of frequent military operations in the border areas of Myanmar and especially after the passing of the 1982 Citizenship Law by General Ne Win, the Rohingyas or Muslim settlers of the Northern Rakhine State, who prefer to call themselves Arakanese Muslims, have fled for safety and shelter into Bangladesh; a flight that has only temporarily solved their problems as they found themselves facing rising hostilities among the host population. The Government of Bangladesh too till the recent influx have been reticent about receiving refugees that have found their way within its territory but are not registered within its official camps managed by the Government of Bangladesh in collaboration with UNHCR . The reason that the Government gave for not registering the large number of undocumented Rohingyas was that it would only contribute to the ‘pull factor’ i.e. that it would only provide more incentive to people to flee the borders and hence create a security threat. In such an atmosphere the support of the international community has been fragile and limited to a coterie of humanitarian agencies, journalists and academicians. The agencies who have been working alongside the Government of Bangladesh to help the protracted refugee situation in the border areas have been international UN bodies, e.g. UNHCR, WFP, UNFPA and UNICEF. Other multilateral agencies such as IOM have recently been inducted in to help with undocumented migrants including their registration. Among the bilateral donors European Union and USAID are prominent, while a whole array of international and national NGOs have been offering various services in the health and education sectors. Rohingyas in Bangladesh share a common religion, dialect and similar racial features with Bengali residents of Cox’s Bazaar, the coastal district of Bangladesh that borders Myanmar, a fact that contributes to their being defined as Bengalis by the Myanmar census but an identity that is contested heavily by those having to take refuge inside Bangladesh, although they often share family links across borders. The Government of Bangladesh on its part is ready to term them as illegal migrants rather than refugees that are entitled to protection as per international standards. 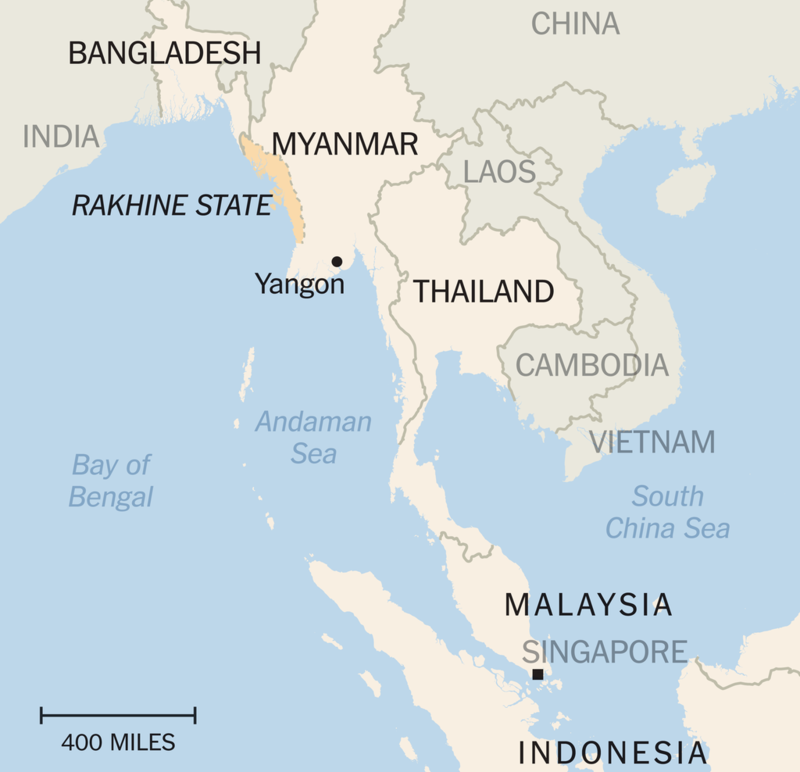 The Cox’s Bazaar district and the Chittagong Hill Tracts in Bangladesh are two districts that border Myanmar. They are populated by 13/14 ethnic communities some of whom have strong historical and cultural ties with Myanmar. These two communities are the Marmas in the Hills and the Rakhines in the plain land. 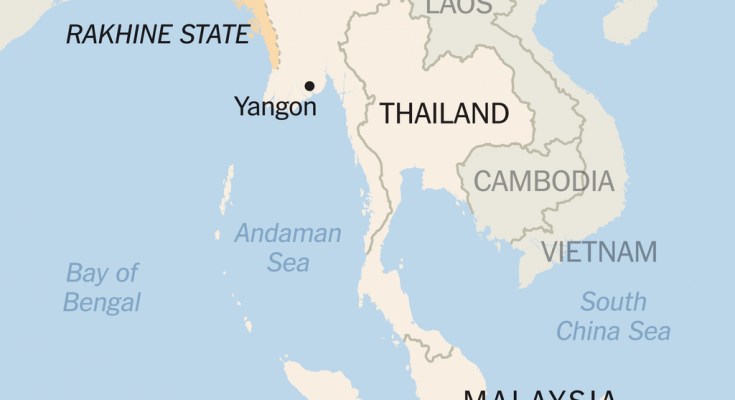 Both communities are Buddhists and share languages that are spoken in Myanmar. In Bangladesh they form some of the smallest minority groups, the total ethnic community representing only 1.10 per cent of the total population (2011). The Rakhines in Bangladesh are concentrated in the Cox’s Bazaar district and as minorities they face the same kinds of discrimination that are common to all marginalised communities. Grabbing of personal and communal land, attack on temples, takeover of Rakhine business and trade and hidden repression of Rakhine women and youth have been some of the events that had prompted many Rakhines to leave Bangladesh for neighbouring Myanmar where they feel more protected in a Buddhist dominant country. The scenario for Muslim Rohingyas and Buddhist Rakhines in the borderlands of Bangladesh Myanmar are therefore almost mirror-reflections of one another. But besides problems regarding minorities, the ecological and political economy of the borderlands lends themselves to problems that affect the population in these areas as a whole. The southernmost tip of Bangladesh is constituted by the Teknaf Peninsula that forms one of the sandy beach ecosystems (80 km) in the world. The Teknaf peninsula can be divided into the Western side (sea facing) and the Eastern side (river facing) areas. The ecosystem of this area is highly degraded due to population pressure and food crisis. Hills and forests are being destroyed at a constant rate by the people. The people of this region are totally dependent on natural resources i.e., cutting woods from forest, catching fish from sea and animals from hills, collecting fruits from the hilly forest areas. Fishing, rice farming, cultivation of vegetables, spices, pulses, oil seeds, fruits and tobacco in the plain land and betel leaves in the slopes are plentiful. Other means of livelihood are fuel wood collecting, seasonal salt farming and trading. In addition, the Cox’s Bazar District is prone to disasters in terms of droughts, floods or cyclones and the population density has already put extreme pressure on existing socio-economic systems and scarce natural resources. Bangladesh as a whole already exhibits poor human development indicators, as evidenced by its 2011 UNDP HDI ranking of 146 out of 187 countries (UNDP 2011). Extreme poverty, hunger, and poor nutrition are country-wide problems, which are exacerbated in this region. The population is highly mobile mostly due to search for income opportunities. This mobility also exposes them to frequent violence for both internal migrants as well as those who cross borders. . The news which brought this trend into sharp focus in the international media was the discovery of graves in Malaysia and later in Thailand where remains of refugees and migrants from Myanmar and Bangladesh were interred. According to the 2015 Southeast Asia Mixed Maritime Report circulated by UNHCR, remains of nearly 100 refugees and migrants from Myanmar and Bangladesh were re-interred in Malaysia, over 1000 passengers were believed to have embarked on smugglers boats in September 2015 and some 2,026 Bangladeshis have been repatriated to Bangladesh from Myanmar, Malaysia and Indonesia. The situation in Myanmar was not getting better for the Rohingya population. The Rohingya population especially younger generation residing within Bangladesh was getting more and more disillusioned with future prospects in the face of Bangladesh Government’s disinterest to tend to their welfare in any meaningful way. This had over time created a demand for illicit traffic of people across the waters of the Bay of Bengal to prospective countries such as Malaysia Thailand, Indonesia and even as far as Australia. So far such journeys have been based on single-contract deals. But lately the profiteering dynamics have led to an up scaling of the business into a racket for human traffickers. This trend has reportedly been fuelled by the rising demand of the Thai fishing industry for manual labour in their fishing fleets. But the core issue for Bangladesh was the rather lax implementation of anti-trafficking laws and border vigilance which in recent history had allowed the area to be used as a smugglers paradise, not only for human trafficking but also as a transit zone for smuggled goods such as drugs and arms. This situation has been temporarily subdued by implementation of strict laws, but observers feel that as long as the root causes of the problem remain unaddressed, the same socio-political dynamics may very well re-emerge and the scenario catapult into another humanitarian crisis, which the recent humanitarian crisis of August 2017 . The root causes of the humanitarian crises cannot be addressed without some core policy change among stakeholders, which are the states of Myanmar and Bangladesh, the international community and the refugees themselves. The mainstream narrative of Myanmar regards Rohingyas as illegal immigrants who historically came from Bengal and also in recent times as seasonal labour. Bangladesh is the primary proponent of the host country narrative which Malaysia, Thailand and other countries also follow. It holds that the Rohingya are both victims and opportunists and always a burden and a security threat. The countries that espouse this narrative acknowledge that there is a problem, but are engaged in a stalemate with regard to solutions. Each is unwilling to act first, for fear of attracting still more Rohingyas to their countries. They call for a ‘holistic’ or ‘regional’ solution. The international community in general acknowledges that the Rohingya are victimised by Burma and also that receiving countries fall short of their protection obligations. In terms of the refugees own voices, the situation has become more complex. Refugees within Bangladesh unequivocally demand safe return to Myanmar with guarantee to fundamental rights such as right to life and property, freedom to practise one’s own religion and citizenship. This is where it starts getting complicated. The protracted refugee situation of the Rohingyas has also been the seedbed of an emerging identity politics where many international networks are now calling for the recognition of Rohingyas as an ethnic identity. Many refugee communities in different parts of the world are in the process of developing their own language and culture. This is something that the state of Myanmar as well its cultural elite is in denial of. 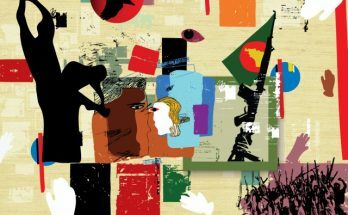 In the changing situation of Myanmar’s political scene and also the somewhat less intransigent stance of the current Bangladesh policy, one can see perhaps a small window in which this problem may be aired out among relevant stakeholders and creative solutions advocated for. But so far this issue has not been in the topmost agenda of any of the parties. The fact remains, that having a group of ‘stateless people’ in remote border areas of countries cannot spell any benefit for diplomatic ties between those countries, or for the region as whole, and with the history of terrorism as it stands today, it certainly cannot be a good sign for the international community in general.